Loneliness is an experience many of us may go through at various points in our lives. Feelings of loneliness affect people of all ages and backgrounds. The Archway Foundation was established in Oxford in 1982 to help relieve some of the real distress caused by loneliness. We connect those feeling alienated with a diverse group of volunteers, many of whom know for themselves how damaging loneliness can be. Archway channels energy into action. We are open to all over 18 years of age irrespective of culture, background or religion. 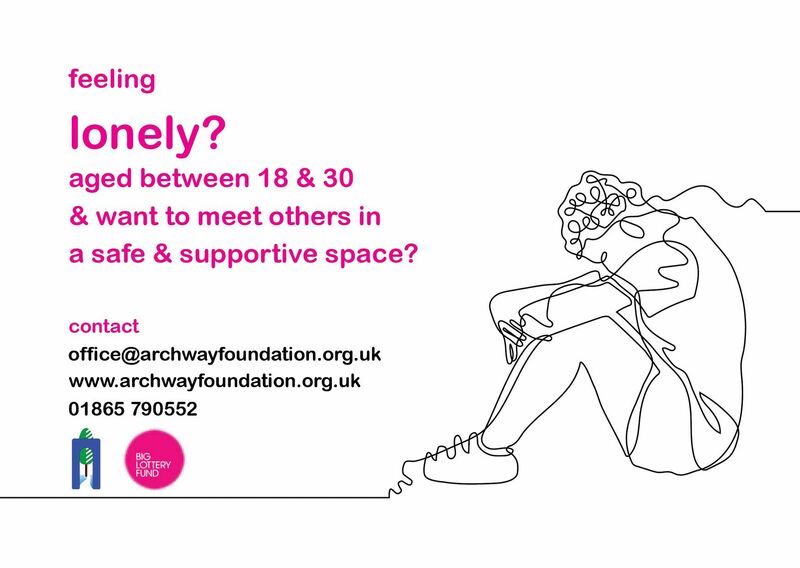 From November 2017, Archway is starting a Young People's Pilot in Oxford for those aged 18-30 affected by loneliness. To ask about attending, or to refer someone contact Lu Cozma Young People Coodinator on the Oxford office contact details below.